Are you a breast cancer patient looking for ways to keep your body as strong as possible during treatment? Then you’ll need to follow a specific exercise regime geared specifically toward breast cancer patients. Fitness is vital for keeping your body strong and preventing breast cancer recurrence. In fact, the Harvard Nurses’ Health Study found that breast cancer patients who exercise are 50 percent more likely to survive the disease and reduce their risk of recurrence by half. The reasons behind this ties to a reduced level of inflammation and decrease in stress, according to the Prevention magazine. Exercise will also help you keep your weight at healthy levels. All of this tends to change your body chemistry and make it harder for cancer to grow in your body. Below we outline several specific exercises you can take part in during and after breast cancer treatment. 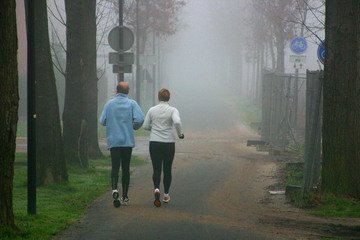 One study from Germany shows that cancer patients undergoing an intense chemotherapy schedule and exercising for 30 minutes per day showed less fatigue than those that didn’t take part in physical activity. Another study from Copenhagen found that both cardio and strength training exercise helped cancer patients feel more energetic. So it is best for you to go on a jog or a fast walk for half an hour a day. Spend an extra 10 minutes lifting light weights as well. You may feel pain after you undergo a lumpectomy or mastectomy and have your lymph nodes removed. While this pain may make you think resting and keeping still is best, this is actually the wrong approach. If you don’t adhere to stretching and exercise, you could lose a range of motion and gain greater stiffness in your body. Below are five stretches that will help your body remain flexible after surgery. Face the wall standing up. Be sure to stand eight inches away from the wall. Place your fingertips of one hand on the bottom of the wall with your palms facing downward. Walk your fingers up the wall as high as you can move your hand. Hold the position for 15 seconds. Then move your hand down to the beginning position. Repeat this five times. Now change hands and repeat the routine. Bend your waist downward and let your arm hang toward the floor. Do circles with your arm. Do 10 circles clockwise and 10 circles counterclockwise. Now change arms and repeat. Stand tall in a door frame and hold your forearm against the side of the frame. Now lean forward gently to stretch your upper body. Hold the stretch for 30 seconds. Then return back to the the first position. Complete five repetitions. Now stretch your other arm for five repetitions. For breast cancer survivors, strength training is vital to help your arms, back, and chest become stronger. Also, strength training can alleviate the symptoms of lymphedema, which is painful swelling in the arm after lymph node removal. Take a one- or two-pound weight and perform the three exercises below when you are several months post-treatment. Be sure to talk to your doctor about the strength training exercises you choose. Sit in a chair that supports you back. Hold two dumbbells in each hand with your arms at your side. Lift your arms in a wide arc to your shoulders with your palms facing down. Lower your arms and repeat 10 times. Sit straight in a chair holding a dumbbell in each hand. Keep your elbows at your side and bring your forearms up in front of your shoulders. Lower the weights down to the chair. Do 10 repetitions. Stand in a lunge with your right leg in front and your left leg behind in a straight position. Make sure your feet are both flat on the ground. Support your right elbow by resting it on your right thigh. Hold a weight in your left hand and lift it up to your waist. Bring the dumbbell back down by straightening your left arm. Complete 10 repetitions and then switch sides for another 10 reps. These exercises should help breast cancer patients gain more strength and reduce their risk of recurrence. So don’t forget to get at least half an hour of exercise every day. You’ll be happier, healthier, and stronger for it! Cancer patients who are undergoing heavy treatments should do exercises because it reduces their stress levels and increases their energy levels and high spirits. If they have estrogen positive or negative breast cancer and they do not exercise and become obese, it might recur easily. Yoga is another good exercise to practice.